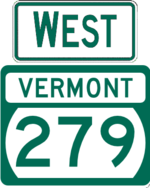 US 7 is a two-lane, mostly undivided freeway north of Bennington. 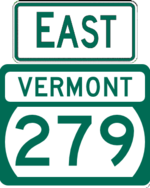 The freeway parallels the routing of VT 7A from Beinnington to north of Manchester, which was the original alignment of US 7. Rumors suggest that there may have been plans to build a freeway along the US 7 corridor between Massachusetts and Burlington.